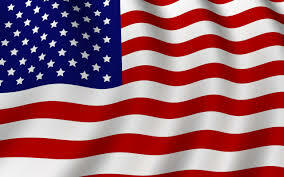 All Units come with a standard 1 year manufacture's warranty, with the purchase of maintenance parts. 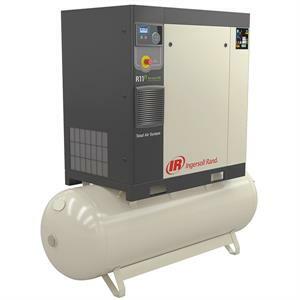 The reliable Ingersoll Rand R-Series 4-11 kW compressor extends the R-Series family into the commercial machine range as well as offers innovative features and a compact design that fits virtually any application environment. Boosting your company's profits was the main goal that Ingersoll Rand had in mind when designing the revolutionary lineintegrated rotary screw air solutions. Our rotary screw compressors are more than integrated systems. They are completeair solutions designed to maximize the key drivers of profitibility in todays business by providing ultimate reliability, flexibility of operation, shop productivity and energy efficiency and savings. 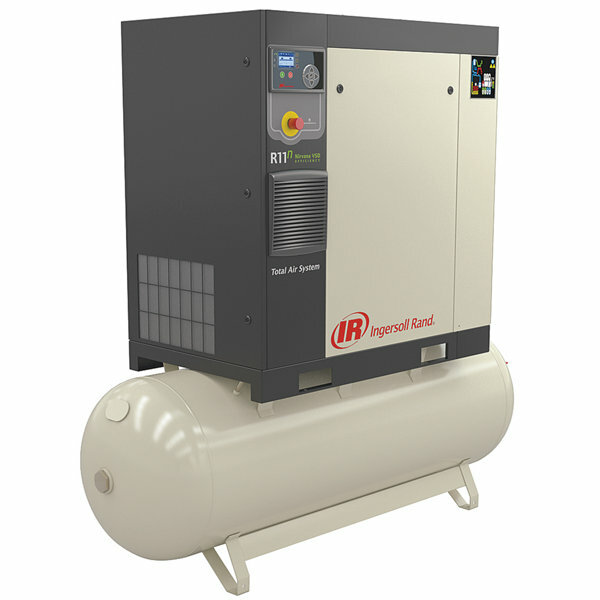 R-Series: 5 - 15 HP "Total Air System"
Looking to save space and installation costs? 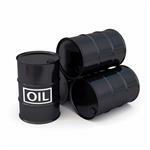 Consider the R-Series 5-15HP "Total Air System" (TAS) packages as an innovative solution for your customers needs. TAS packages come standard with "Energy Star" cycling refrigerated air dryer with stainless steel heat exchanger, integrated compressor and dryer controls for optimum operation, panel mounted dew point indicator, dual filters (both pre and after) mounted and piped, single point condensate drain system with electric dain (115-volt), and high efficiency moisture separator.